Gregg Kofi-Brown is best known for his work with seminal African funk rock pioneers Osibisa, who were one of the first, if not THE first African band to achieve popular success in the West. 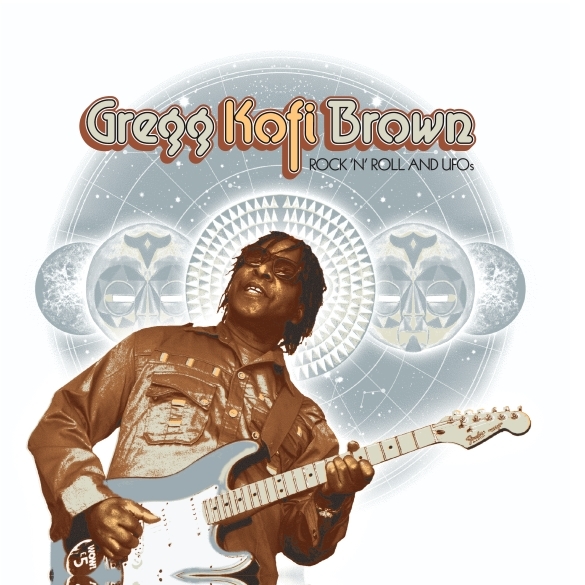 With conscience laden lyrics and funky afro-rhythms, Gregg has a created a multi-national musical platform with his guest artists that speaks to many people across the world. Gregg Kofi Brown was executive producer of the 2003 Evening Standard cover-mount CD give away in memory of Damilola Taylor which featured the likes of Robbie Williams, Craig David, Gorillaz, Blue and Ms.Dynamite. At the beginning of this account of his fascinating life he writes: “My life in the music and entertainment industry has always had its entry point on several cascading levels. That is to say the various opportunities that have availed themselves to me have forced me to wear many hats on a daily basis. Whether it's supporting Jimmy Cliff at a festival in Vienna or teaching a music theory class in London, I am blessed to be working in a business I enjoy.